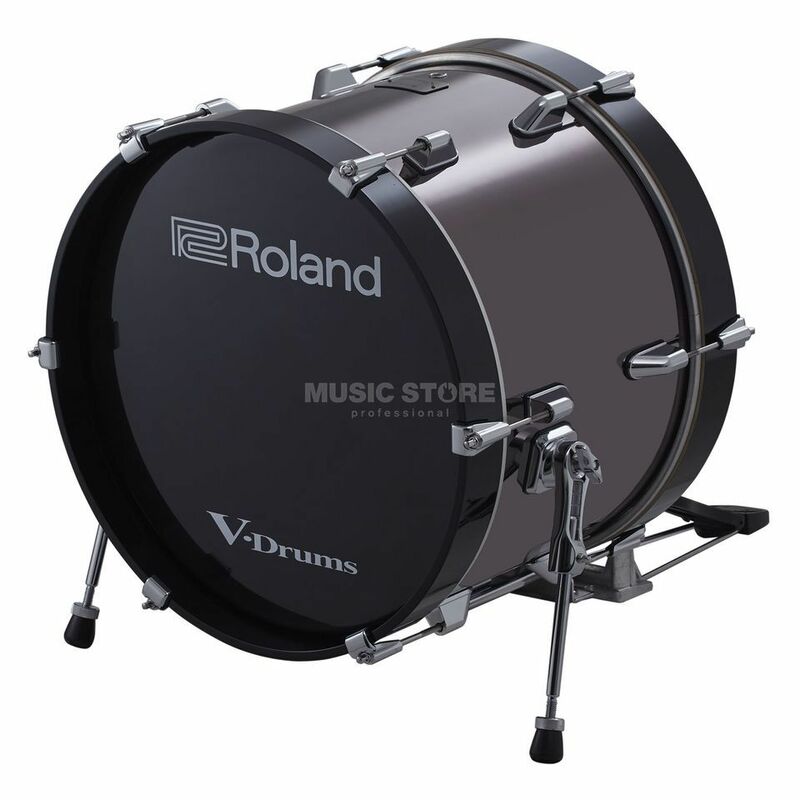 The Roland KD-180 Trigger Bass Drum is a high-quality bass drum made of birch with the most modern Roland bass drum technology, installed in an acoustic drum shell. It is made of high quality birch wood and has noble custom inlays made of chrome. The playing feel is completely realistic, thanks to the innovative Roland damper technology and the air that is moved in the shell when playing. When the beater hits the playing surface, it produces the usual resistance of an acoustic bass drum. The triggering of the Roland KD-180 is extremely precise for single and double pedals. The optical presence of the KD-180 pays off especially in live use, where the optics of the V-Drum set are significantly enhanced. Compatible with all V-Drum racks, modules and normal drum hardware, the Roland KD-180 is the perfect choice for all professional drummers on stage with Roland E-Drums. Please note that the pedal is NOT included!